Perhaps you already replied to this question but I don't remember. Do you sell Venture boxed or cart only? Do you have an high resolution photo of package or cart? AtariSales puts the cartridges in a plastic clamshell that protects the cartridge. 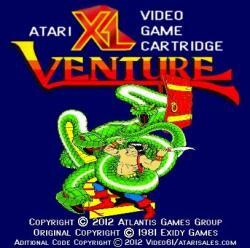 Currently we are using the Atari cartridge shells. They boxed with bubble wrap to protect them for shipping. I should ask Video61 is he can make up some photos of the cartridge themselves. We are no longer selling the version that went on the Williams Cartridges because it was more expensive to make and a chip sat too high that made it difficult to screw the shell together. I would like to check label quality. Video61 had some of his guys out by him make a new label after we decided to go with the 16K cartridge. I only have the original 32K Williams Cartridge in my possession. I am not sure if he is using the older dark brown shell with the metal piece or the newer 2 piece all plastic shells that were around the Tremial era of Atari. 8K/16K boards fit in either one. Video61 grabbed tons of Atari stuff back in the 1990s when Tremial was liquidating all the assets. Video61 also has a new guy doing the soldering for the Williams cartridges so the chips fit inside the shell properly. Plus they appear to fit evenly together when there is 2 EPROMs instead of one. This is what is being done for Secretum Labyrinth. I made up a simple label that can fit inside that 2x2 indent on those shells, but they made something else already. We are considering redesign the label in the next batch in the style we are currently using on all the new games that looks like the Atari Silver and rainbow strip Label. Here is the current all blue label used on the 16K cartridges along with the proposed changed label to the new format. Edited by peteym5, Tue Dec 6, 2016 9:16 PM. I think you give V61 way too much space on the label. The games distributor shouldn't dominate the label. Currently we are not using the Silver Label for Venture. We still have some Blue Label cartridges still in stock. That Silver label is proposed for the next batch. I can always shrink or expand parts of the label. Edited by peteym5, Wed Dec 7, 2016 11:40 AM. I'm just giving you some feedback. These labels are small due to the cart size, so I think the title and artwork of the game need to be given as much space as possible. The V61 and associated text takes up a lot of space and detracts from the title/artwork of the game. I don't have a problem with advertising on the cart. There is a small AA logo and text on many of the games in the store, but it is kept small so it doesn't detract from the artwork. At a minimum, it should be moved to the bottom of the label. 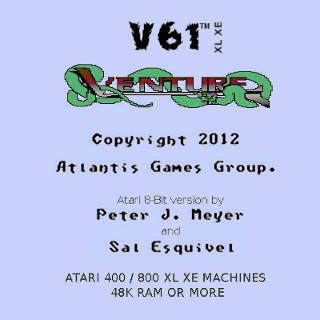 The Silver Labels are done in the style of the Atari 2600/5200 Silver labels from the early 1980s. I know there are two versions one with "Atari" centered in big print over the label, the other is Atari smaller offset to the upper left. We did "V61" to the upper left to make it our own. I see where you are going with it. Maybe its the black ink for V61 making it stand out. It also seems a bit larger in proportion to the graphic size vs. the 5200/2600 version. With the computer carts being so much smaller, I'm not sure I like this style of label with all the wasted space for the silver border. But that's just my opinion. It's your game. We have to leave some border/margin around the images and texts just in case the label sheets don't align with the cuts. Part of one label could print on the next one if not centered properly. The sheets I get from Sheetlabels.com has a gap between each label, so the borders are actually smaller when we peel them off the sheet and put them onto the cartridge. We are using these http://www.sheet-lab...om/labels/SL610 with Spectacle material. Best not to use gloss pre-coated because the ink does not soak into the paper and rubs off too easily. Like we did with the original Williams cartridges and I ordered them for KJMANN12 to print. I could enlarge the image more if I need to. I use an ink jet. Think Lance has a high quality laser printer now. For those of you that wondered about that PAL mode issue, this is the history of what happened. 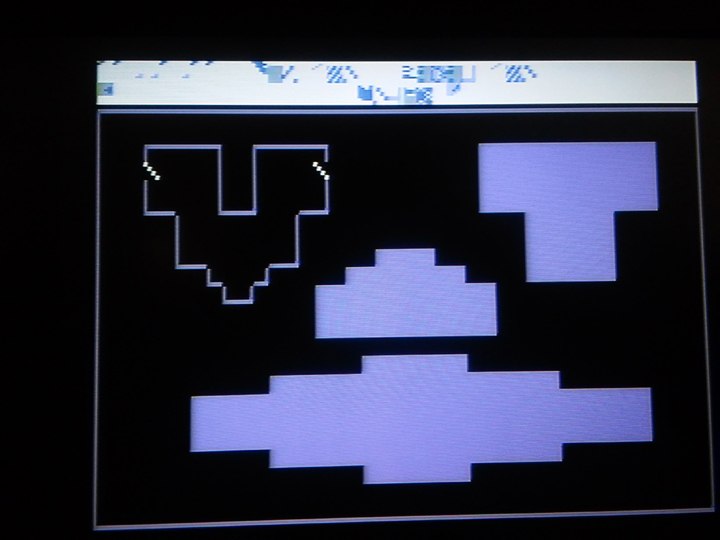 Venture uses 1 player + 1 missile to generate 10 pixel wide sprites with a player/missile multiplexer so multiple sprites that are 20 pixel high can appear in different regions of the screen. Which sprites are generated first is sorted out at the start of VBI cycle. That way if more than 4 spites are within the same vertical region ( I called them sprite zones ), one will not be drawn for 1 frame. Next frame, a different one not be drawn. This will cause 5 to 8 sprites to appear to flicker slightly if they share the same vertical (Y) position. The GTIA registers are changed with a series of DLI routines for each sprite zone. 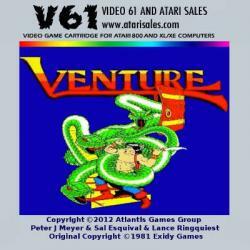 Venture requires to set the colors, horizontal player, horizontal missile, and width. A total of 16 registers must be set within the DLI routine, and the CRT Electron beam can move 2 scan lines before all 16 registers are set. So if a sprite is really close to the boundary, we might see the top pixel line be slightly distorted. When I heard about the glitch, I did some tests in emulators and sent out a copy to a trusted European beta tester, However these were my later 16K compressed version that needed to be optimized to get it to fit onto a 16K cartridge. No one reported anything. Then I realized these may be earlier versions of Venture. Over time, I experiment with game programs and routines, even ones that already been released to see if I can get things to look better. I also needed to pack and optimize Venture to get it to fit onto a 16K ROM Cartridge. So by doing those things I might had accidentally and unknowingly fixed a problem. Many feel this was a minor problem and only a few 32K ventures made it to the PAL region of the world. The current rules are I only update and replace a game if there is the program crashes or something happens where the game can not be played. Edited by peteym5, Wed Mar 22, 2017 10:54 AM. Some one help the guy out... if you have the cart burn him some replacement roms that aren't glitchy or possibly corrupted during the production. Since it's little to no effort to do so and costs next to nothing, I'm sure the community can help where a business won't. Edited by _The Doctor__, Wed Mar 22, 2017 1:59 PM. Games can be replaced if the ROM is defective, or became damaged during shipping. Video61 tests these games after each ROM is burned. It took over a year before I even got word about a possible minor glitch. The program did not crash or freeze up, and you can still continue playing from that point forward. I would not fix a game unless there are major problems reported, I get screen shots, and a detailed description of what is going on and when. So I can run the game on Altirra that has a debugger and I can check memory locations and registers. I could not replicate the error results running the 32K Venture on Altirra in PAL mode. Someone sent me a PM that the bottom pixel line of one of the moving walls in the Wall room was flickering between widths. I explained the cause in the above post and that because the game needed some optimizations to fit on a 16K cartridge, that may had caused the problem to go away. If a real error existed in the first place. Edited by peteym5, Wed Mar 22, 2017 11:48 PM. I am sure the purchaser would love to have one that looks just as wonderful as all others... and since you clearly aren't interested in making good on it. My post on the matter is still valid. MANY feel the same as I. I am thinking my many is real and yours is a literary device like a politician uses after making a promise and not delivering. Of course that also depends on what your definition of what many is...or is is for that matter. Edited by _The Doctor__, Wed Mar 22, 2017 11:54 PM. As much as I love the work Peter does I can't get my head around the odd practices, I wish him well and hope he sells loads but I simply cannot bare the negativity he shows towards customers. I hate blocking people but its simply easier, there 3 in the block list, W1K, Sal and now his ex associate Peteym. Edited by Mclaneinc, Thu Mar 23, 2017 4:59 AM. Why don't you obtain yourself a working PAL setup and test all this stuff on real hardware. Emulators are known for missing timing issues and DLI crashes and so on. The real hardware is a little more picky than an emulator. I adviced you about the Ultimate SD cart. With that gadget you simply can test your firmware on real hardware, even without burning eproms. It was based on what I believe caused the minor display glitch on PAL systems with 32K Williams Cartridge earlier build. Extra clock cycles were needed to do bank switching, that got removed for the 16K compressed version. I also removed so extra writes DMACTL and PRIOR in the VBIs and DLIs. I worked on reducing the CPU cycles for the multiplex the player / Missile graphics at the top of the VBI. This was some of the work done to get the game to fit onto a 16K cartridge. I have AtariMax cartridges to test the games in real hardware that have almost identical bank switching to the Williams boards. I also have plenty of ways to test stuff on real hardware now. Edited by peteym5, Thu Mar 23, 2017 7:39 AM. If someone has a serious problem with the game, they should contact Video61 at http://members.tcq.n...eo61/index.htmlor www.atarisales.com. Attacking and arguing with each other on here is not going anywhere. That 32K Williams Cartridge had all been sold. It will probably be replaced with Venture on 16K cartridge. There had not been any complaints about the 16K version, and almost 3 times as many been sold so far. Both versions play the same after being loaded. If I was going to put a game on larger Williams, XEGS, or AtariMax cartridges, I would prefer to have more to that game. 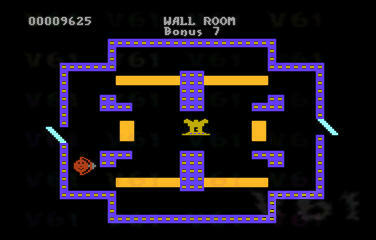 Hundreds of screens, levels, sprites, sound effects, etc. Which is what I am doing for Secretum Labyrinth and Tempest. Edited by peteym5, Fri Mar 24, 2017 9:43 PM. Interesting History of what happened here on the public forums. I am actually going through all the threads and see who and where someone suggested to me the ideal of using Deflate/Inflate. Before the game was release I did not want this game to go up for sale at $49.95. I felt it did not have the big WoW factor that Tempest Xtreme had, did require digital sounds, and different music playing. I was originally trying to fit it onto a 16K cartridge. I encoded the room drawing data to use up less space. Just KJMANN wanted to do the Player+Missile 10 bit wide sprites and RMT music that put the whole concept outside the possibility to fit into 16K. Now all my new games are being designed using Deflate/Inflate from the ground up, along with heavily optimized data optimization. Can draw these screens with just a few bytes of instruction. I am working on this Miniature Golf thing where I am putting multiple putt putt courses on a single cartridge. I am still working out how many course will be on this cartridge. If I made Venture for the Atari 8-bit today, it would had been programmed very different. KJMANN probably just had done the music and no other involvement from him. I later figure out how to optimize these RMT files and got the one he sent to me to use a few hundred less bytes of space. Edited by peteym5, Thu Apr 13, 2017 3:14 PM. 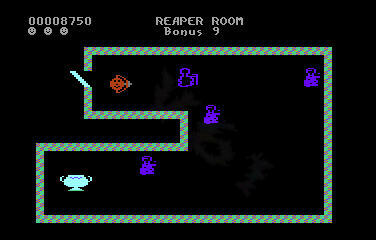 Here are the screen shots from the 4th map screen and dungeons within. 2 of them have monsters doing something slightly different. There is a fireball room and a 2nd wall room. The original ideal for the 4th map room was to include something called a piller room that would have some rotating pillars. Maybe KJMANN will explain it better, it was his ideal. 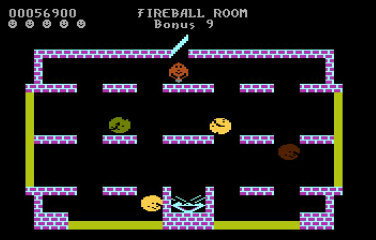 However I made this fireball room and I had fireballs flying in all different directions, and it was easier to program. 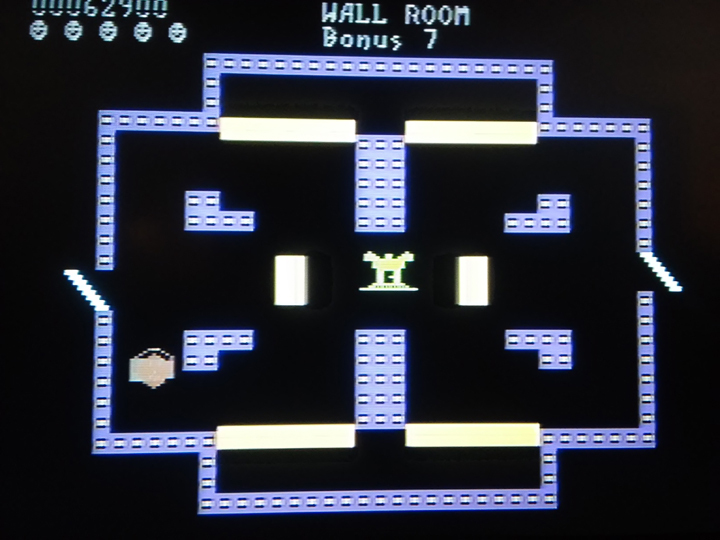 Some other ideals were thrown around for the challenger mode, like a re-generator idol similar to Gauntlet in some of the dungeons or a wall you need to shoot through to get at the treasure. However, I was getting frustrated with how things were being handled so I developed it to the point as it was released. One thing I was objecting to was the original $50 price tag, and expected a lot of bashing after the game was released. I was trying my best to compact it down to 16K. which Video61 can produce much cheaper. However I had to work with RMT + the music file 10 pixel player + missile sprites that was already taking up over the 16K space available. Since then I discovered Inflate and other ways to optimize a game to make it fit to the desired memory size. Edited by peteym5, Sat Dec 16, 2017 6:14 PM. In the Wall Room on Level 4, I always get this rectangular box that flashes over top of Winky and totally obscures his graphics when standing still. Also, the game totally crashes on me from time to time. 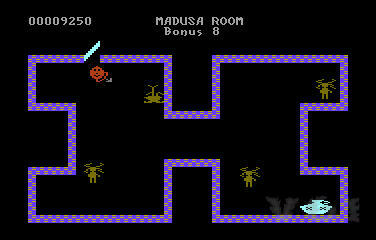 Today it did so on Map 2 Level 2 when I bumped into a wall while trying to escape from a hall monster. Yesterday it did in one of the rooms on Map 4 Level 1. I have to cold start my XL when this happens in order to get the cartridge to run again.